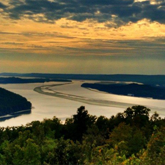 Scottsboro is a beautiful town with plenty of sights to see, and things to do on your visit! There's plenty to do, go on a hike, sit by the lake, take a boat ride, or just enjoy one of our parks. There are plenty of places to stay in Scottsboro - cheap or expensive they are here for you. Scottsboro has a ton of restaurants to choose from, with almost every style of food! 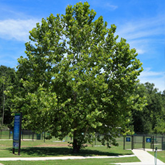 Scottsboro has beautiful parks for you to visit on your trip, you can find more information on parks in the area with our Park Listing. Whether you plan on camping in your car, RV, or primitively there's a spot for you in Scottsboro. 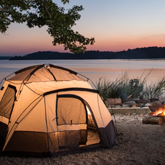 View camping locations in our area. 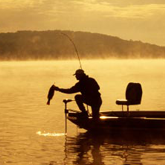 Lake Guntersville is famous for it's fishing, and Scottsboro is located right next to it. Check out boat ramps in our area. 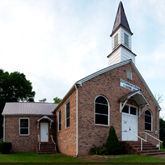 The Southeast is full of history, and Scottsboro is part of it. Visit the museums around town and learn about our little piece of the United States. Being the town where the mountains meet the lakes has its benefits, sights being one of them. Take a look at the places you should go see when visiting Scottsboro. 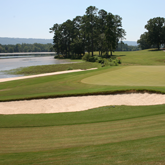 Scottsboro is home to 3 golf courses, get directions to them or view more golf courses that are close to Scottsboro. Scottsboro is a small city in Northeastern Alabama. Right at the tail end of the Appalachian mountains and next to the Tennessee River and Lake Guntersville. We believe our beautiful corner of Alabama is one of the greatest places you could come visit. Whether it be for the incredible views, the amazing cooking or just a slower pace of life than most people are used to, Scottsboro has something for everyone. The Southern United States is full of history and also home to a certain way of life. Scottsboro is part of that, there are museums spread throughout the city, Civil War battles were fought within the city limits, and railroads from the 1800's still stand today. The City also still has First Monday, a trade day that started in the 1800's at the first of every month in the city square. With the mountains, lakes, and rivers that are all around Scottsboro it's no wonder the town slogan is "Where the mountains meet the lakes". This provides the city with some of the most beautiful landscapes you could ever see. If your looking for a scenic and quite spot to spend a vacation look no further than Scottsboro. We here in Scottsboro would love to come have you visit, so we can show you true Southern Hospitality. You and your family will meet some of the nicest down to earth people in our City. Combine this with the beauty of the area and any trip to Scottsboro will be one that you will always remember.